Welcome to the HIV and Hepatitis Health Disparities Update archives. You can browse here through our collection of past monthly issues featuring current news on health disparities in HIV/AIDS, viral hepatitis, and related health topics — as well as resources focusing on communities that have been heavily impacted by HIV and viral hepatitis. 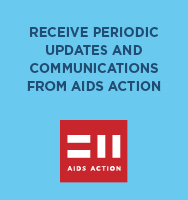 This newsletter is developed by the AIDS Action Committee of Massachusetts in collaboration with the New England AIDS Education and Training Center. If there is a topic not covered in the newsletter, feel free to contact us with suggestions or visit our health library for more in depth information about over 200 topics relating to HIV/AIDS and hepatitis B & C.